Give your vehicle a race inspired tone with a much more pronounced turbo sound. This BOV will allow you to increase your boost levels without sacrificing reliability. The adjustable springs will allow you to safely tune your BOV for varying boost levels. This blow off valve (BOV) is perfect for those wanting to raise their boost levels to gain more power. 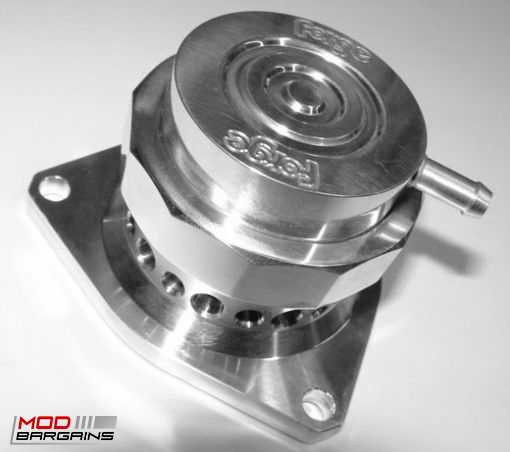 The OEM BOV is not adjustable and is only made to withstand the stock boost levels. This means if you run a higher boost pressure you can quickly deteriorate the OEM rubber valve diaphragm and it will also lose strength. Forge Motorsport's BOV is constructed out of billet aluminum and Viton silicone o-rings so you can run higher boost levels and abuse it repeatedly without worrying about sacrificing reliability. 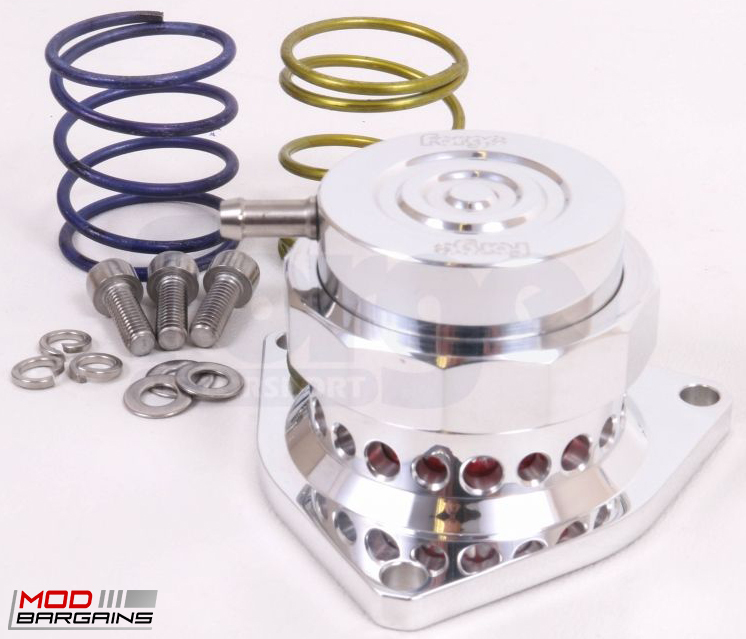 The Forge Motorsport BOV is made from billet aluminum to prevent valve failures to protect your vehicle from boost leaks and spikes to ensure maximum performance and maximum power. With the Forge Motorsport BOV, you are upgrading the factory recirculation valve with an atmospheric venting blow off valve that alleviates the extra boost pressure more efficiently. Because of this, you will hear that infamous "psssh" sound that you hear on high-performance turbocharged vehicles. Included in the box are all of the neccessary components for the installation to make everything as simple as possible.